Modern shoes with high heels make your legs look longer and give you a more attractive walk. However, your feet often start to hurt after walking and standing for hours in your favourite pumps - this type of shoe puts your feet under a lot of strain. Orthopaedic insoles can provide relief here. 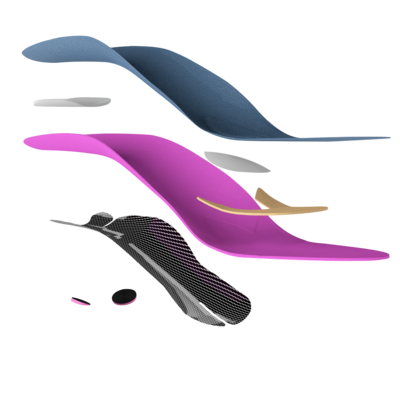 The new igli Style carbon insole was developed to meet the special requirements of wearing high-heeled shoes. With its comfortable soft footbed, it relieves the pressure on your feet and provides targeted support for the muscles. By the way: you should make sure change your shoes from time to time. Wearing flat shoes or even walking barefoot is a welcome change for your arches. Special and regular gymnastic exercises promote healthy feet. Walking in high heels is a challenge for your feet: The unnatural position of the foot in high heels changes the architecture of the foot, affecting posture. Lifting the heel in shoes with high heels not only increases the pressure on the balls of the feet, but the body's whole centre of gravity shifts forwards. Many women develop a slightly hollow back to compensate for this. This explains why back and neck problems may actually be caused by the the position of the foot. Often the high degree of stress on the balls of the feet also cause symptoms due to pressure, because the heels bear less weight. The comfortable soft footbed reduces pressure forces. The slender construction is suitable especially for high heels. The dynamic bar stabilises the foot. Hygienic freshness and pleasant to wear, even when barefoot. Reduces the pressure and relieves stress on the heel. Ensures gentle support of the transverse arch. Reduces the pressure and relieves stress on the balls of the feet. Stabilises and guides the foot and the heel. Provide balance and stimulate the muscles. The integrated forefoot cushion reduces pressure peaks to relieve stress on the balls of the feet. The posts divert part of the pressure along the sole. They also stimulate lifting of the arch and activate the muscles. Fashionable shoes often only absorb little impact and offer hardly any cushioning for the foot. 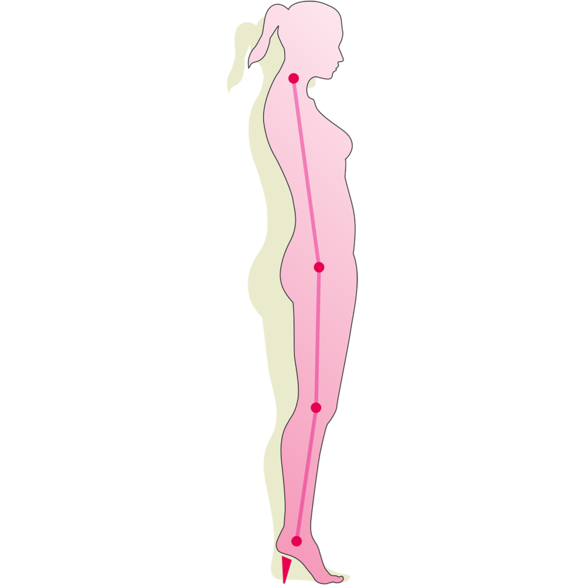 The pressure peaks this causes can have negative effects on the position of the foot and thus on posture. igli Business Silver from medi was developed especially for people who regularly wear fashionable shoes with little cushioning or high heels. It actively supports the foot and thus also positively affects posture. The igli Style carbon insole has received the ‘iF DESIGN AWARD 2017’ in the product design category. The jurors awarded the seal of quality out of 5,575 submissions from 59 countries.